Stakes are higher than ever before as SpongeBob and all of Bikini Bottom face the total annihilation of their undersea world. Chaos erupts. Lives hang in the balance. And just when all hope seem lost, a most unexpected hero rises up and takes center stage. A legendary roster of Grammy Award® winners. A visionary director and Tony Award®-winning design team. One of the world’s most beloved and unforgettable characters. Turn them all loose on Broadway and what do you get? SpongeBob SquarePants – The New Musical. 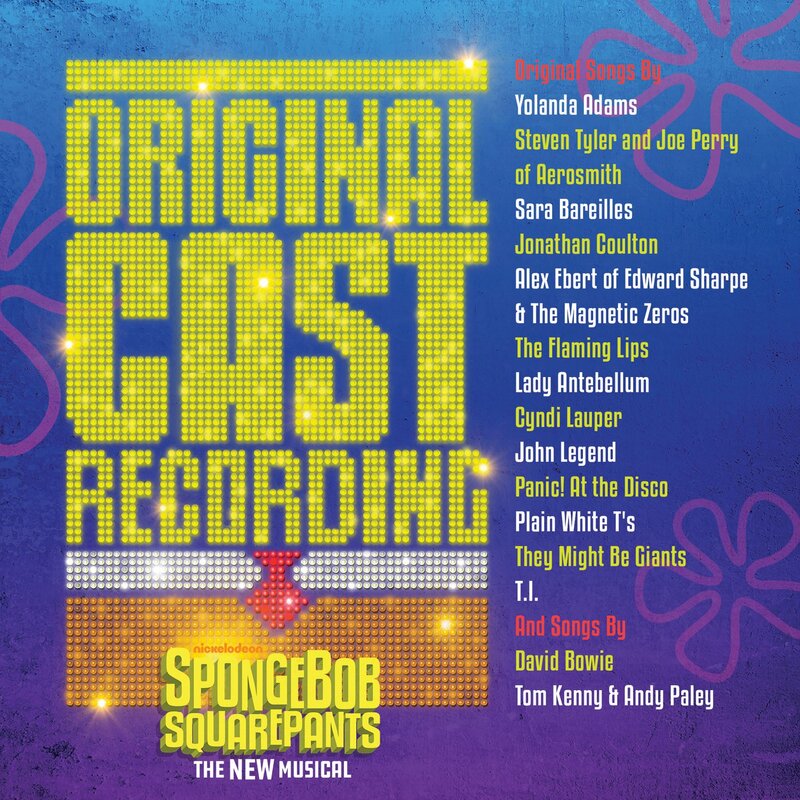 SpongeBob SquarePants is a one-of-a-kind Broadway musical with original songs written by Yolanda Adams, Steven Tyler and Joe Perry of Aerosmith, Sara Bareilles, Jonathan Coulton, Alex Ebert of Edward Sharpe & The Magnetic Zeros, The Flaming Lips, Lady Antebellum, Cyndi Lauper, John Legend, Panic! At the Disco, Plain White T’s, They Might Be Giants, T. I., and songs by David Bowie, Tom Kenny & Andy Paley, with additional lyrics by Jonathan Coulton and additional music by Tom Kitt.